Dibdin, Thomas Frognall. 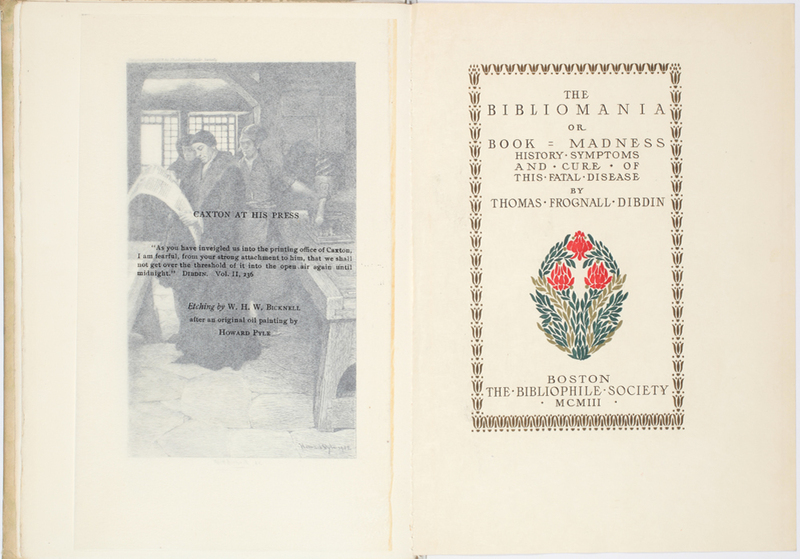 The Bibliomania or Book-Madness. Boston, The Bibliophile Society, 1903. 23.8 x 17.5 cm., marbled paper over boards, spine gilt, uncut, fronticepiece in two states on Japanese vellum and on Holland paper to each volume. 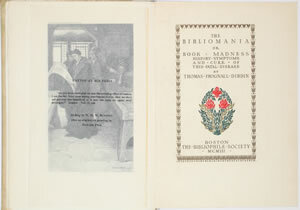 One of 483 copies for members of the Boston Bibliophile Society.